Some of you may be familiar with Jim S, a frequent commenter on this blog in the last several weeks. He has an awesome story of recovery and has generously shared it with us here. Check out his extensive website for more details about his recovery and life. This is a what is becoming a continuing series of stories of recovery on this blog. I think I will soon make a page for all the recovery stories I’ve collected. In the meantime they are loosely collected on my About page. What is most delightful about them is that recovery happens in many different ways. What is important is that complete recovery is indeed possible. Thank you very much Jim, for this story and all the effort you have put into wonderful comments on this blog. Right before I was hauled off for a one month stay in a psychiatric ward for bipolar disorder, I was a “Big Man on Campus.” Besides being a party animal, I was on the wrestling team, was an officer in two different fraternities, and was always on the Dean’s list. The biology department had even recommended me for Who’s Who’s in College. I found a girl whom I wanted to marry right after college. Upon my release from that place, I lost all hope of putting together any sort of life because I came face to face with the stigma of being a former mental patient. All social life evaporated since I was reduced to just sitting in a chair day after day. Once, I went to the beach, but got severe burns as no one had told me that my medication increasing my sensitivity to sunlight. I still remember the big blisters on my lips. My pills affected all parts of my life. After a small accident in a small parking lot, I had to give up driving. I took up smoking cigarettes to shorten my life. I had always loved to read, but I was on so much medication to control my delusions that I could not remember anything even after just reading a short sentence. Another side effect of my mixture of meds was tremendous weight gain. My fit, strong body was about the only thing that gave me a sense of pride. All self-esteem disappeared as 100 pounds of fat coated my body. The girl, who supposedly loved me, just stopped all communication. I went to church, did the sacraments, and prayed a lot–but nothing helped–I felt that God had forsaken me. Because my doctor kept insisting that I was doing good, I acquired the belief that I would never get any better. I planned my suicide with car exhaust in the garage, but I chickened out at the last minute. When that occurred, I really felt like a failure. It is painful to write this. Months after my release, I returned to college to try to finish my degree, but I just could not handle college. Where before, I felt confident of my academic skills, I now went with the attitude of not pushing myself, just trying to finish. All my close friends had already graduated. It was so embarrassing telling people why I did not graduate when I had such high grades before. So, I once again went home, to sit in a chair. My mind seemed to slow even more. To check my mental alertness, my psychiatrist asked me the date. I could not even come close. I did not even know what month it was, despite his hint of do you remember a Christmas tree. A neighbor took me to the polling place to vote for the candidate whom she was backing. I voted for the opponent, and he won by only 4 votes. That wouldn’t have been that bad, but I did not have sense to not say whom I voted for. On my website I have detailed the history of my recovery so I will just summarize here what turned my life around. Eventually, my depression lifted a bit (it probably ran its course) I completed my one semester of college in two semesters. I managed to still graduate with honors and after a long time got a teaching job in another state. It sure was hard trying to explain the two year gap in my resume. I bumbled along in my job. I went after a long term dream–learning martial arts. Taking judo in a local YMCA, I got in better shape, lost some weight, raised my self-esteem. At about the same time, I found some self-help groups where I befriended others who had suffered from mental illness, but recovered. One self-help group, called Recovery, Inc. taught me cognitive therapy. After a few years I participated in weekend training to become a group leader. Early on, I started to write in a journal–I’ve done that for decades. I very slowly cut back on my medication until I was off all medications for bipolar disorder–a few days ago I celebrated 32 years off those mind numbing pills. It seems that as my body got stronger, my brain got better in the process. To compete better in judo, I started to run. Now, you must picture the fact that I weighed about 300 pounds at the time–so I did not run very fast. Little kids would pass me in their tricycles. But, I got better, lost weight. I started to place in most tournaments. I was ranked third in the state. Running races of different distances (5K, 10K, 20K) I eventually finished marathons and a triathlon of running, swimming, and biking. After finishing my first marathon I believed I could face anything. In truth, nothing in the following decades came close to being as hard physically as that first marathon. It was a spiritual awakening. Earning my black belt was another spiritual awakening. My physical transformation was like a miracle. Who do you know who has lost over 100 pounds and kept it off for decades? Over the years, I studied yoga, tai chi, chiropractic, and massage. They are all good. Along my way of recovery, I have done a lot of volunteer work in the community. I was trained to do taxes as a volunteer for AARP. Older people are so appreciative of the help I give them. In the community where I taught, I helped set up a teen center to help keep the kids off the street. We provide them with a place to go and pizza each Saturday night. We took them on many educational field trips and campouts. It is a true grass roots effort: churches, organizations, businesses, and individuals donate money to fund our activities. As I walk the streets I pick up garbage. I’m so grateful to not be locked away and to be able to walk in the sun. Some ex-mental patients redefine our diseases. I’ve also thought about this from many directions. Maybe, some of us have the capacity, when under stress, to greatly speed up our brains. Some very famous people are/were bipolar. Their speeded up and deep thinking may have greatly advanced civilization. I wrote an article about some of these people for my website. However, as we all know, many of us get too far with our thinking. My conclusion is that I go fast and slow. Sometimes I need to think deeply. Other times, I need to have total rest–some would call that depression. After finishing this essay, I may need to not think for a while. The brain is part of our bodies. If we over exercise, we need to rest to restore our muscles. My brain seems to sometimes really rev up, then it has to be forced to rest. I have to take control. I need to balance my activities to allow myself time to rest and restore my brain. If I approach mania, I know I will make a few types of thinking errors. I have to watch for them, and maybe talk through my plans/projects/ideas with trusted friends. When I left the hospital, I realized that most of what I had done was think and talk. I did not finish anything–just talk. Talk is cheap. I vowed to finish some projects/dreams. People get over mental illness in many ways. My methods may not suit some. However, I believe one has to go beyond blame. For years I remained stuck in self-pity because I blamed everyone–my parents, my teachers, all adults, but especially God–for all of my troubles. My friends said the past is past. Whatever is, is. In other words, I had to accept my past and the world as it was, and myself as I am. Blaming others for me was a good excuse to not try, to not take chances. Over the years, my life has gone beyond my wildest dreams. All because of my vow to finish things. A friend said to suit up and show up. That is a big success key for me. I was the one in PE classes who was never chosen. I was a nerd: read a lot. After dozens of judo tournaments, many marathons, and other athletic events (like I did 5000 stomach crunches for a charity event), I’m a respected athlete today. I’m grateful for a part time job teaching physical conditioning and judo at a community college. Although I was the dumbest kid in some of my elementary school classes, I’m a published author and am listed in Who’s Who in two different fields. There was a time when I was not able to go out into the sun. Today, I have great organic gardens. For about a month or more each year, I eat all the asparagus, strawberries, and lettuce that I can hold. As I write this, it is mid-March and I have an amalysis blooming with clusters of huge orange blossoms. It stands out against the snow on my deck. I love astronomy. I had the opportunity to use one of NASA’s Mars satellites to photograph Mars. I took over 500 pictures. I grew up poor in a coal mining town to Pennsylvania. I always wanted to see the world, but we hardly ever got out of the town. I’ve found ways of exploring our country. I’ve hiked trails in many National Parks, even did a 9.5 hour walk all the way across the Grand Canyon. I’m listing these activities in order to give others hope that they also can have a life of their dreams. One of the most enjoyable projects that I’ve done was to read 1000 nonfiction books in the first 6 years after I worked out an early retirement. I still remember when everyone–friends, parents, relatives, doctors–have given up all hope that I would ever getting out of that chair I lived in. To try to help others who lived a life without hope, a number of years ago I wrote a book of my experiences and put it online on a website. 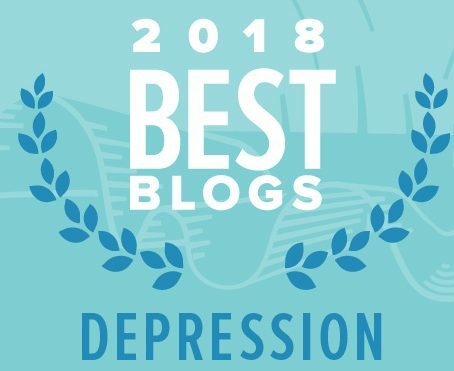 Over the years, I’ve added many articles about various topics that I’ve had to work through like losing weight, acceptance, Recovery, Inc., exercise, and famous people who had recovered from mental illness. I’m grateful to have the freedom to have lived a wonderful life. Many people have helped me along the way. 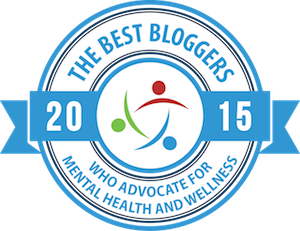 Today, there are a number of websites run by people with bipolar disorder. We all can find a great deal of hope and support from them. I remember when I was all alone with no hope. Someone else was telling me how they found Recovery Inc, to be of great help for them, too. I would join up myself but the nearest group is nearly 100 miles away. I was reading another story of recover from “serious mental illness” in a potted biography of Princess Alice of Battenberg. Alice was mother to the Duke of Edinburgh and, therefore, the paternal grandmother to Prince Charles, the heir to the British throne. In 1930, Alice was diagnosed with schizophrenia and was incarcerated for years in a Swiss sanatorium. The history becomes very sketchy but Alice made a full recovery, was released, and, it seems, she dedicated the rest of her life to charity. In old age, she moved in to Buckingham Palace with her son, Philip, the Duke of Edinburgh, and Elizabeth, the Queen of England, She died in 1969 at the age of 84. I had never even heard of Alice before. I guess the Windsors have good reasons for keeping her under wraps. Most medics claim mental illness is hereditary, and the admission of more madness in the Royal Household, wouldn’t help the already flagging reputation of the monarchy. A shame, because every recovery story is of huge value. Thanks for sharing yours, Jim and a Happy Easter to You! thank you for your story. the theme of thinking too much and not being able to complete tasks is something i’ve carried through my life! there have been some accomplishments but there are many “let’s….”, “what if we”, ‘i’m going to….”s floating around in different phases of my life. while not making quite the comback you have, i have had some good stretches…bit i admire what you’re doing. I called my local NAMI office last summer – very upset about their pushing psych meds all the time. I asked them why they never seem to offer any alternatives to psych meds. They said they had been approached by Recovery, Inc, and allowed them time at a meeting to discuss their program (a couple of months before I called). They referred me to Recovery, Inc – although, I have never been to a meeting. Another organization that seems to be taking hold is Procovery out of Missouri – they are in the process of going nation-wide from my understanding. Posted a question on Safe Harbor – interested to see if any Safe Harbor members have had success with this. What a fascinating story – thank you for posting it. Okay, while I agree that not all drugs are good, and sometimes combinations of drugs are bad… drugs for bipolar disorder aren’t necessarily bad. My husband is on a time release version of depakote. He had the quick release version over 10 years ago. claimed it made him a zombie, though I think the marijuana use contributed (again mixing drugs = not always good). He went 10 yrs without drugs. It was rocky. Eventually things escalated and he agreed to be hospitalized. He’s now on a time release depakote. It does not interfere with his ability to drive or do anything else. when he first started it, reading was a bit difficult but he’s now back up to speed. Him off meds was scary, hard on me, and hard on our kids. My oldest child’s teachers have commented she is a different child now. Not because she’s on meds, but because her father is. Scripts are prescribed often because people won’t commit to therapies for long enough without prescriptions. My daughter has issues as well, though they are mild. because they are mild, no one has suggested she take meds. Instead, she gets therapy from her school. The idea that schools and drs are too quick to suggest medication is somewhat of a myth. Not all schools and drs are like that. If you can commit to therapy without scripts, that’s great for you, but if you have family, especially young children, please, also consider asking about other medication options. My husband’s medication experiences now are far, far better than they were 10 yrs ago. People certainly have the right to choose meds, but usually no alternatives are offered that in my mind is criminal. There are many natural means to approach “bipolar disorder” and you certainly don’t need to be on meds to be able to benefit from many of them. I don’t know if you’ve looked beyond my home page for all the different ways people have recovered without meds….if not check out the about page. I have no beef with you and your husband though…we do what we choose to do and that is a good thing. this site, though is about recovery and the hope for life without drugs. Though of course many of us are still on drugs. Thank you all for your kind comments. I hope I gave some people hope–that’s what I missed the most for a number of years. It’s hard living believing that things are not good and will continue to go down hill. Navi, drugs were tried on me with poor results, but I’ve come across people who do benefit from drugs at least for a time. For a short time, I needed either drugs, or I needed to be physuically locked away. It does seem that mnay people desire to just pop some pills rather than try some alternative therapy. In America we like quick and easy solutions. My search for serenity has been anything but quick and easy. What an inspirational story, Jim. Thank you for sharing it. While I am not personally at a point where I would wish to stop taking the medication that I am currently on, you raise issues that people diagnosed with mental illness should be aware of. Thank You for sharing this with me! !